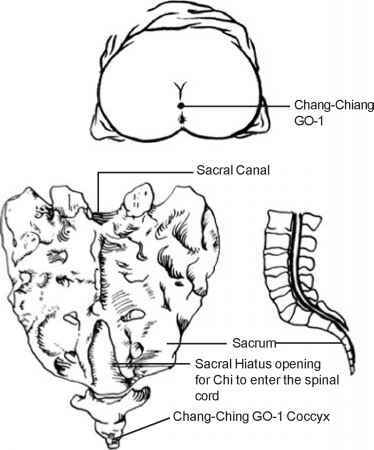 The fourth energy center point is the Chang-Chiang (Woii Lui) at the coccyx. This point is very important because it is here that the power is either returned to the body or lost. When the generative power (sperm power) is returned, it passes through this canal and into the spinal cord and then to the brain. This has been called the Passage to the Door of Life and Death because it is here that the "warm current" is said to enter the central nervous system. 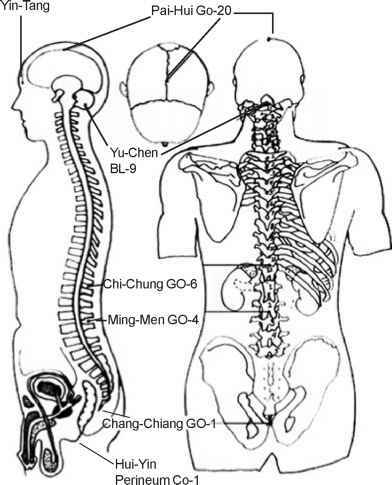 When you have concentrated for some time you may feel a sensation of warmth and pressure rise up into the coccyx through the many nerve endings and the eight holes, which in the esoteric system are called the holes of the soul. The first level, opening the Microcosmic Orbit, may be said to be the preparation of the way. The energy that passes here is the real sperm and ovary power and is the energy of the life force that is produced in the body and cells. The second level trains the chi to move along 34 additional routes and involves the cleaning of the organs. 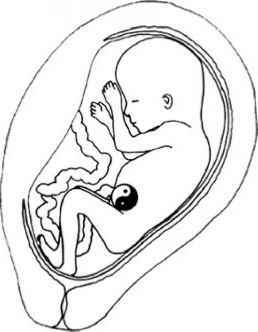 In the third level sperm or ovary power is awakened and transformed into a higher level of "chi power". This "power" pushes its way upward in through the coccyx. At that time some people may feel a needle-like pain. Some may report having a feeling of tightness there and others will be aware of something pushing its way inside. With continued practice the "power" or "warm current" pushes higher and higher. It will help you to open the point much more easily if you rub the coccyx with a soft cloth until you feel warmth there and then sit down to practice concentration. Fig. 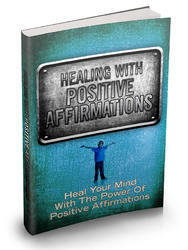 5.1 Energy flows upward through the major points of the Back Channel. Fig. 5.2 Energy flows upward through the major points of the Back Channel. How many nerve endings in tailbone?